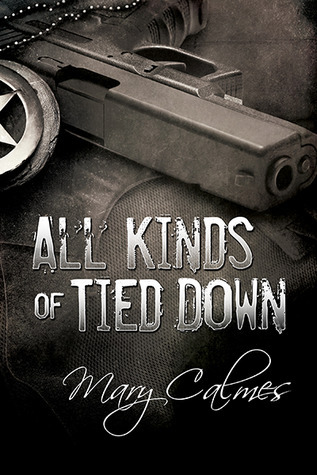 Many thanks to Mary Calmes for donating an ebook copy of her forthcoming m/m romance, All Kinds of Tied Down, for a lucky commenter to win! All Kinds of Tied Down will be released by Dreamspinner Press on July 4. Deputy US Marshal Miro Jones has a reputation for being calm and collected under fire. These traits serve him well with his hotshot partner, Ian Doyle, the kind of guy who can start a fight in an empty room. In the past three years of their life-and-death job, they’ve gone from strangers to professional coworkers to devoted teammates and best friends. Miro’s cultivated blind faith in the man who has his back… faith and something more. As a marshal and a soldier, Ian’s expected to lead. But the power and control that brings Ian success and fulfillment in the field isn’t working anywhere else. Ian’s always resisted all kinds of tied down, but having no home – and no one to come home to – is slowly eating him up inside. Over time, Ian has grudgingly accepted that going anywhere without his partner simply doesn’t work. Now Miro just has to convince him that getting tangled up in heartstrings isn’t being tied down at all. To enter, leave a comment stating that you are entering the contest. Contest closes 7 pm CDT, Thursday, July 3. Posted by Chris on Thursday, June 26th, 2014, at 2:00 am, and filed under Contests, Reading. Oh anything for a Mary Calmes story! Consider this official “I’m in. I want to win this book! !” Thx for the opportunity Mary! Oh hell yeah! Love Mary Calmes! I’m all in! Pick me! Pick me!! Pick me!!! 🙂 Please count me in! I’m so excited about this book. I’m in!!! I love Mary Calmes!!! I’m in it to win it!! Please, count me in. Thanks!!! I love how Mary writes, so obviously it’s another “must have”. Count me in the contest please! Mary is one of my favs! Yes please to entering contest! I am entering the contest. I love Mary Calmes books and can’t wait to read the new one. I am very fond of Mary’s books. Anything she writes is always on my to read list. 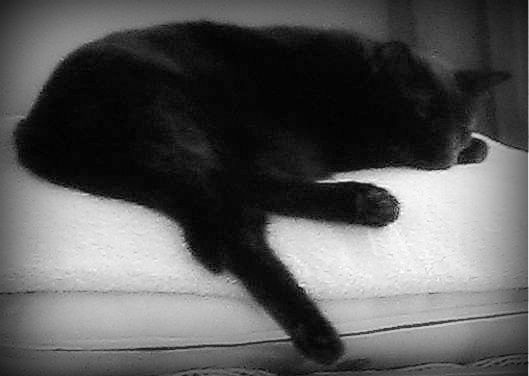 I too am always sleepy, but the last time when I slept the summer totally away, I was pregnant. Could this possibly be your problem? Love Mary’s books. Please count me in 🙂 Thanks! A new Mary Calmes… Yeah !! Please count me in! I’d love to check this out, please count me in! Thanks! Love Ms Calmes’ work – please count me in.